Why can the oil industry make millions while other industries that truly improve people’s lives often struggle with gaining their well-deserved economical reward. 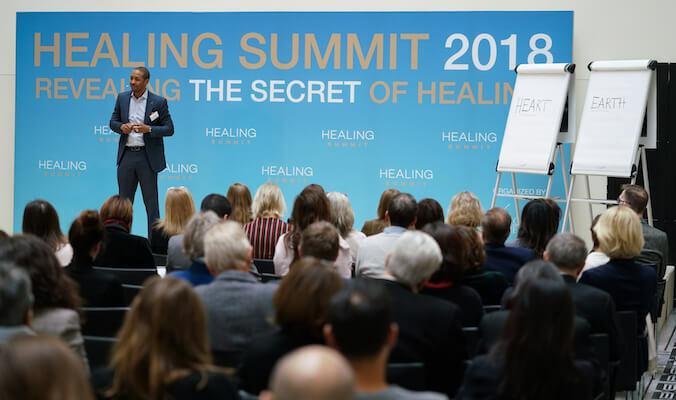 The HEALING SUMMIT 2018 in Berlin was a wonderful event to exchange inspiring thoughts with a community that is committed to healing and ready for transformative change in doing soulful business while being successful in monetary terms. By taking a closer look at the economy, one gets to realize that it is predominately driven by big companies, being solely focused on sheer profit increase and allocating precious resources to the wrong recipients. Moreover, people seem to have accepted the distinction between ‘good’ and ‘bad’ businesses: Investments and power often remain in the wrong hands whereas good businesses have increasingly become a synonym for charity. At the HEALING SUMMIT 2018, Catherine Parrish, Joy Menzies and other inspiring speakers gave great food for thought in their speeches by referring to the definition of value in the economy. When it comes to gold, diamonds and oil, no one ever questions why people have to pay for these goods. It is simply perceived as ‘normal’ in society, given that everything – being rare and precious – has its estimated price. Unfortunately, many people fail to recall their most precious good: Themselves and their overall wellbeing. Therefore, doing meaningful business has to be financially valued. Otherwise, it will lose its worth in the modern economy and the term ‘business’ is consequently a contradiction itself: Doing business is an exchange of goods and services. Hence, if not prized, where is the value? Moreover, in a monetized economy, a competitive position, that is necessary for transformative change, can only be obtained by being at eye level with big companies and market players. Where do people find soulful businesses, giving visionary market players an incentive to follow this new path? There are wonderful examples of companies having successfully transformed their visions for a better economy into reality. 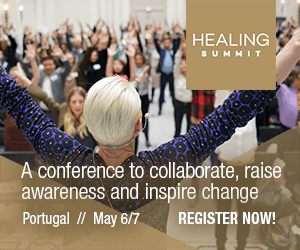 Many forward thinking business owners were present at the HEALING SUMMIT 2018 and shared their stories of success with like-minded people. The President of Fischer Travel, Stacy Fischer-Rosenthal, is undoubtedly worth to be mentioned when it comes to analyzing key success factors for a soulful business in a monetized economy. A company whose valuable services have been recognized by high-class clients that are willing to pay appropriate membership fees for outstanding services, especially when bearing in mind how precious physical and mental wellbeing for everyone is. Stacy Fischer-Rosenthal, a successful entrepreneur from New York who has personally experienced serious health and thus knows about the importance of HEALING. This is a wonderful example of doing sustainable business with a profound and meaningful cause while being successful in a monetized economy: Market players that are not ‘spoilt’, but pushed forward towards a truly soulful economy by financial investments.